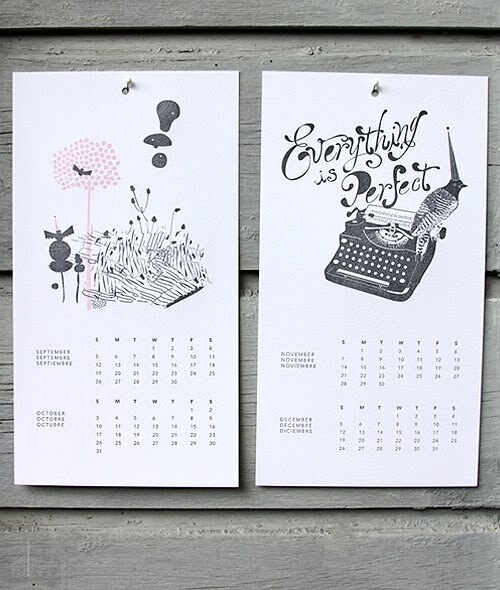 Calendars for the coming year are currently dominating the blog world. I usually explore and admire all the options before buying one but this year I saw the ink+wit calendar over a month ago and instantly knew that it was "the one". The combination of whimsical imagery and letterpress is truly my kryptonite and a signature of all of ink+wit's offerings. 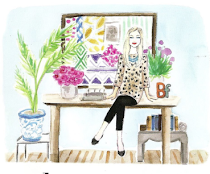 Not to mention the fact that the brains and creativity of the company, Tara Hogan, is more than incredibly talented but super sweet and writes a lovely blog. I can't wait for it to come in the mail! 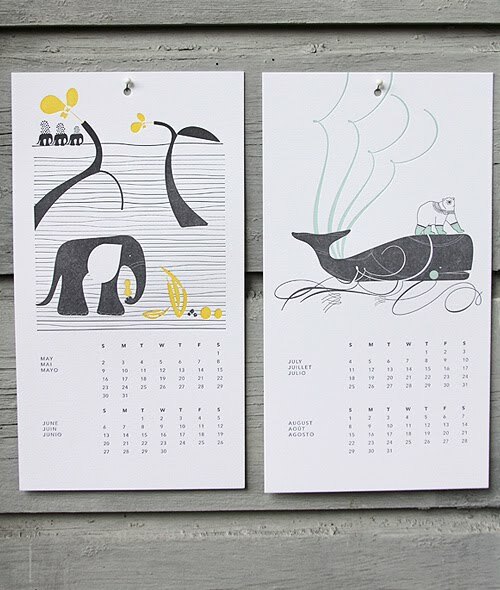 Have you found your 2010 calendar? Aw lovely! My fav one was one I saw on Decor8, I should go back and find it... it was accordion fold with pretty patterns on the front... so many calendars to choose from! Great find! Love love love the elephant page. Great find Blair... I need to start hunting for mine! This is really cute! 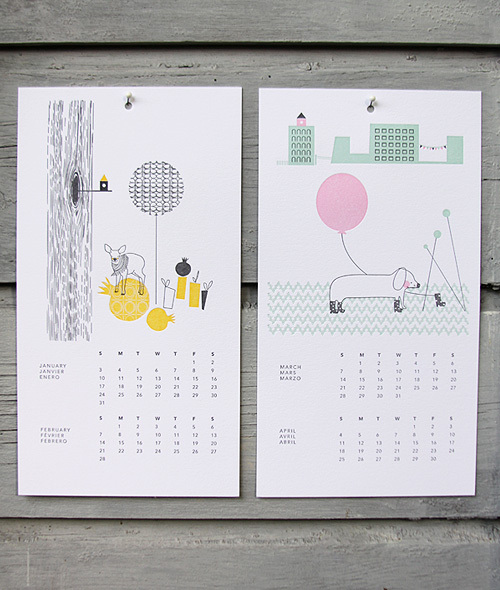 I've fallen head over heels for the 2010 Kate Spade calendar, but there are so many great choices out there! ooooh nice. Good idea for chrissy presents thanks! it's wonderful! i'm still looking for a calendar, i'm definitely going to bookmark this. I love this one!! I actually went to a stamp class this year and made a couple calendars to give as gifts....they are so fun! They are great to scrapbook with after the year is over to mark certain times! We'll see if I can follow through with that..